If you read Wednesday’s post, you’ll know that I supported the kickstarter for Storium, an online RPG/communal story-telling game. On Thursday evening I signed into the Storium beta in search of my first adventure. It took me five minutes to find a cyberpunk story in the “looking for group” phase. Enter Hiraku Boone, a company man born of a company family. The company was always a part of Boone’s life. He wanted nothing more than to get a job with the company and join the ranks of its executive. Ten years after starting his internship with the company, Boone secured a job as a senior data analyst; whereupon he began to notice irregularities. Though he couldn’t prove it, Boone knew that the marketing and sales data coming into the company was wrong. Someone on the inside was cooking the data before it got to Boone’s desk for analysis. His juniors were too inexperienced to see it. His supervisors assured him that they would look into the problem. Even Boone’s father, a Senior VP with the company, would hear nothing of his alarmist warnings. Unwilling to let the company that gave him everything fall to internal subversion, Boone joined up with the party to discover the truth of the data manipulation. From where I sat, Boone seemed like a fun character. He could get the party into places they couldn’t get to on their own, but his actions would always have to be checked against a sense of loyalty to his employer. He could bend the rules, but he would always be working for the greater good. This moral code could even turn him into something of an antagonist depending on how the story ebbed and flowed. Maybe he would use the party as a means to an end before selling them out. Maybe he would come to realize he was working on the wrong side of history all along. Who knows? I was confident that my character would be approved in short order. Instead, Boone was rejected outright. The narrator offered me the following justification. Well how very petty. And yes, I’m aware that somebody could accuse me of being equally petty for taking to my blog to write about a random person on the internet rejecting my character for an RPG. Boo hoo for Adam. But here’s the thing, there’s an etiquette to being the dungeon master/host/narrator. Said etiquette is as follows: the story does not belong to the dungeon master; it belongs to the people playing it. 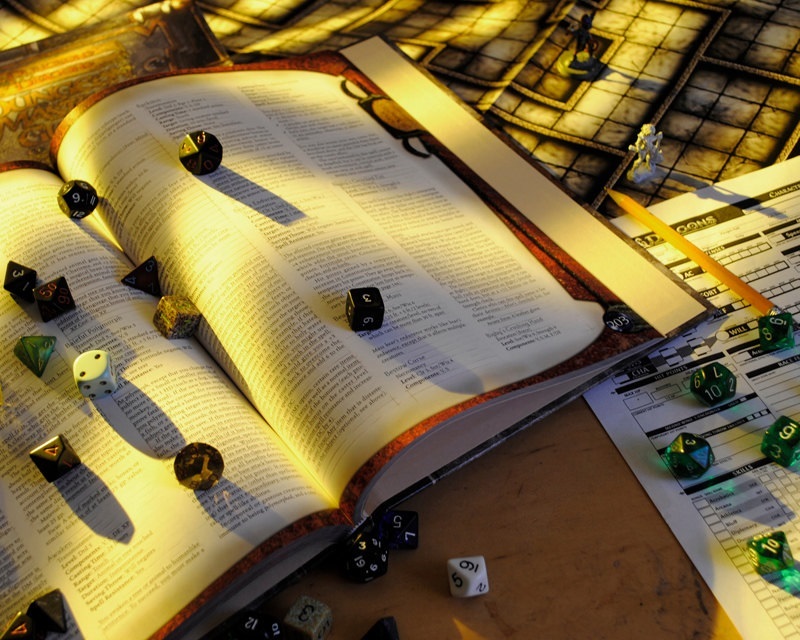 If a DM is presented with something unusual, their job is to integrate that into the story – so long as the unusual thing isn’t completely out of line with the RPG. For example, a DM is well within their rights to say no to a person splitting the atom in a fantasy RPG. The unique quality of communal story telling is that so long as people are holding to the spirit of the world in question, the unusual and unexpected are what give a story legs to go on for months at a time. In the case of Boone, a good dungeon master should put aside their preconceived notions of what the story ought to be (e.g. no affluent characters) and instead see what the group does with it. Failing that, a good DM would ask for revisions to the character – perhaps making him a former company man fallen on hard times. Then again, I wasn’t yet part of the story, so maybe the narrator was well within his rights to tell me to sod off. However, if this is the attitude that a majority of narrators bring into Storium – the idea that their preconceived notions are at the forefront of the experience – then there are going to be a lot of players who get a sour taste from the game.